There is finally a fully legitimate solution with its own newly assigned MCC codes (7350/7360) for retailers looking for a domestic CBD merchant account. If you have a retail store that sells CBD products and need the ability to accept Visa® and MasterCard® branded debit and credit cards, then you have come to the right place. We set up bankcard payment processing accounts for higher risk merchant types, including businesses that sell CBD. The Google search that landed you on this page is probably one of the best you have done in sometime if you own a store that sells CBD products. Unlike in the past where CBD was on the prohibited list and you had to use an offshore account or jump from one account to the next whenever the processor figured out what you are really selling. Legitimate domestic onshore US-based merchant accounts are FINALLY AVAILABLE with a new MCC Code for CBD ~ 7350 / 7360. 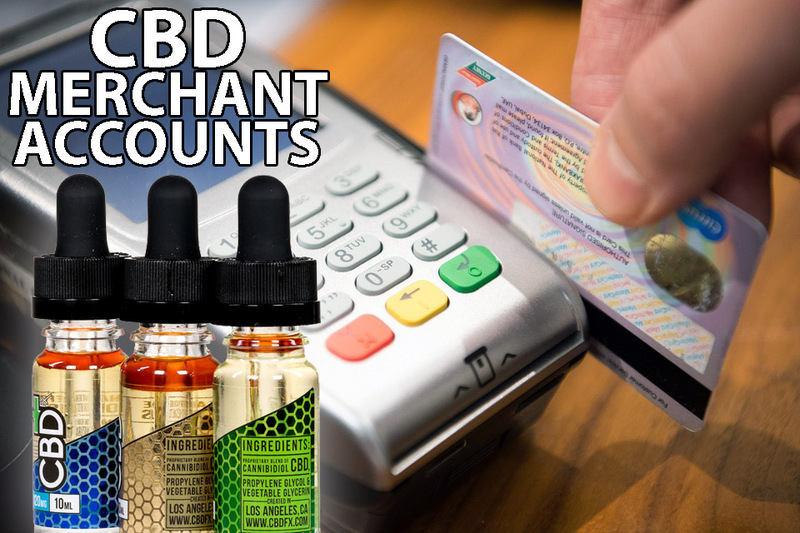 Unfortunately, this new CBD merchant account is only available for merchants that sell retail, card present, through retail stores and is not available for online e-commerce sales. We don’t know what all changed with the rules and regulations but we do know that one of our larger high risk processors that we write accounts for is now accepting new applications for CBD merchant accounts on the new MCC code specifically set up for CBD merchants. And rates are not that bad with standard pricing at 4.95% and $0.20/transaction. That is certainly more than low risk accounts but considering that this is the only domestic solution for CBD that we know of and the other options are all more expensive than that, it’s actually a fair deal. And discounted pricing is available for higher volumes, greater than $200K/mo. While these new type of high risk merchant accounts are indeed real and available, quite a bit of paperwork is required. 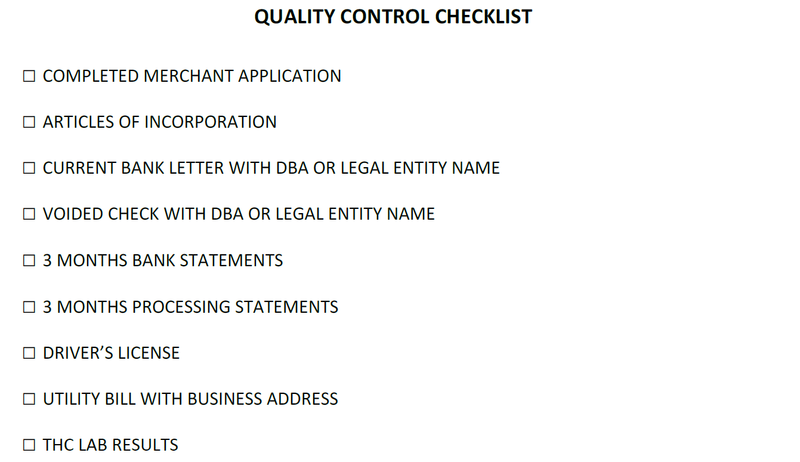 Below is the “Quality Control Checklist” of required documents. There are also website requirements that must be in place prior to submitting an application. If you are interested in applying for a domestic onshore US merchant account on the CBD MCC with no reserves and standard 2-day settlement funding, complete the form at the bottom of this page and we will email you back with the application. Keep in mind, you can only have the one MID with this processor and one application – so be smart and let us help you get everything set up properly before you apply.